Curious about the lifestyles of the rich and fur-mous? Staying in glam resorts isn’t just reserved for the jet set. Doggy companions often get the sweet end of the stick when it comes to luxury travel arrangements. Do you turn up your snout at the idea of putting your dog in a regular kennel? Consider booking Fido a stay at an outrageously extravagant dog hotel! Forget about boring walks around the block and dry dog food. Chateau Poochie, located in South Florida, caters toward the very pampered pet. A special bespoke menu includes roast tenderloin and baked salmon, while the Zen Wellness Spa offers relaxing massages and aromatherapy treatments. Fitness activities are tailored to the individual; an indoor agility course is one of many attractions in the fitness center. Did we mention that every pup gets their own personal trainer? If Bixby needs a refresher in obedience, or perhaps rehab after a surgery, a personal trainer will get them on track to meet their goals! After an invigorating day on the agility course, your puppers can relax with a blueberry facial and a spot of light grooming in the salon. When the day is done, each pup retires to their deluxe suite, which is outfitted with a chandelier and a flatscreen TV. If the custom-made dog bedding isn’t sufficient, the royal suite offers Doggo a king-sized bed all to themselves! Tummy rubs and a bedtime story are available on demand, courtesy of a Chateau Poochie staff member. 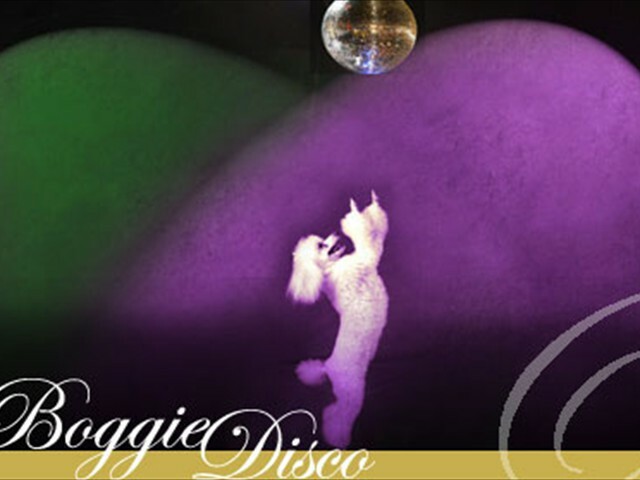 There’s even a disco! Luxe Pet Hotels, located in Las Vegas, is determined to win the honor of being the most luxurious pet hotel in America. Each meal served to your dog is a gourmet creation made by an onsite chef. There are five menu options, with every serving made fresh in house. As any chef will tell you, presentation is very important. If you book a celebrity suite for your pet, your dog can expect to spend their nights snoozing on a queen-sized, memory foam mattress, complete with Chanel bedding. Playtime is divided among the indoor agility course, a fitness studio, and an outdoor play area complete with cabanas and doggy pools. Naturally, all of the doggy guests are given bottled water and freshly baked dog treats. A veterinarian is on call 24/7, and if you need a chauffeur to pick up your pup, they’ll be picked up in a sparkling new Cadillac Escalade. The Canine Ranch may not offer Chanel sheets or a limousine pick-up, but this Georgia-based hideaway is the gold standard for dog care with a purpose. Each stay at the Canine Ranch can be combined with obedience training or learning a new skill. The Ranch is like a graduate school for fur-kids. From honing scent skills to learning some basic obedience, there’s a class for every canine. Not only will your dog have an epic time while you’re away, but you’ll also return to a calm, well-behaved pup! If Rover is a counter-surfing ninja or couch-hogging critter, the Canine Ranch can put an end to these unwanted behaviors. The facility boasts 12 fully fenced-in acres, complete with woods and streams. A saltwater swimming pool is ideal for hot summer afternoons, and the Ranch offers every doggy sport in the book from lure chasing to frisbee. If you have an adventurous pup who thrives on exciting activities, the Canine Ranch is the place to be. The Pooch Hotel is a hotel for dogs that really understands an owner’s dilemma of leaving Fluffers behind. Already anticipating that you’ll miss your dog, the Pooch Hotel has around-the-clock webcam access, so you can check in on your dog as often as you want. With different locations in six states, business is booming for the Pooch Hotel. 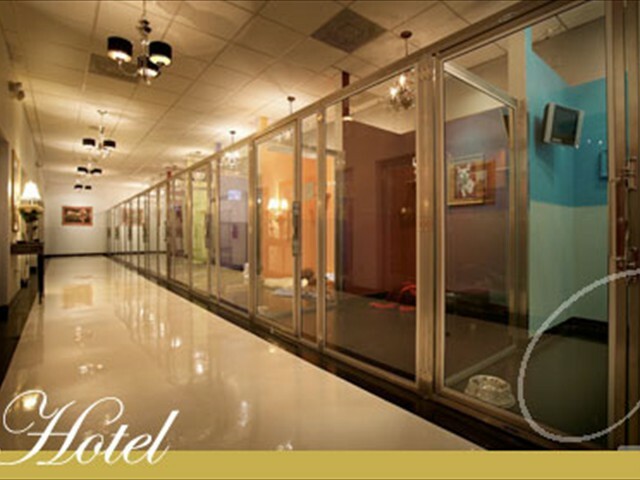 The Pooch Hotel is staffed 24/7 and comes with top-notch doggy amenities, including a spa and an indoor agility course. Each day is loaded with fun activities, ranging from a relaxing rub-down courtesy of a doggy masseur to a grooming session with a salon professional. Nestled away on the suitably named La Tuna Canyon Road sits Paradise Ranch. Forget cooped-up cages and your run-of-the-mill activities; Paradise Ranch operates “slumber party style” so dogs are allowed to party the night away with their new furry friends. A range of comfortable couches and cabanas make up the freestyle lounge areas, while the real party can be found in the outdoor waterpark exclusively for the four-pawed guests. Several pools, fountains, waterparks, and tiki huts make up the lavish outdoor waterpark, where canines can splash the day away or relax under the warm California sun. Paradise Ranch has a large team of experienced dog handlers on call 24/7, and dogs are separated by size and temperament to make sure the cohabitation is never stressful. You can add on additional services like dog training lessons, grooming, or even a birthday party for Pooches! The lush outdoor landscaping even has a resort-style name befitting of a luxury dog hotel: the Bora Bora beach club. The Barkley dog hotel has several locations: one near Los Angeles, another in Cleveland, and two in India. Taking pupper opulence to the next level, the Barkley offers a variety of suites for the cosmopolitan canine, from a luxurious parkside room to a poolside suite. Each stay comes with filtered water, a daily maid and linen service, climate control, in-suite webcams, and ample time for swimming and playing. The Barkley offers a range of activities, so you can build your dog’s vacay schedule around activities you know they’ll enjoy. Whether they need some vigorous exercise at the doggy day camp, one-on-one exercise, a pool party, or a bedtime story and tummy rub, there are plenty of options! If you’re feeling lonely (and using the in-suite webcam isn’t enough), you can also arrange a “Speaker Bone” phone call to speak to your pooch while you’re away. You can even arrange to have Fido picked up in a limousine! The Stay Modern Dog Hotel is a 30,000-square-foot compound overlooking the Chicago river. With three modern lodging options to choose from, every room is outfitted with a comfortable pet bed (varying from a regular-sized dog bed to a queen-sized human bed) and a flatscreen TV. To give you complete peace of mind, every staff member is fully certified in canine CPR and first aid. Breakfast is served until 9:30 a.m. Then, your pooch is invited to join canine daycare, where they can frolic with other pets all day long. You can book deluxe upgrades, such as nature walks, aquatic fitness sessions, or even a little time on the treadmill! Grooming services are available in this dog hotel, along with webcams, so you can check up on your furbaby from afar. Spa Paws is not your average dog hotel, even by the standards of this lavish list. 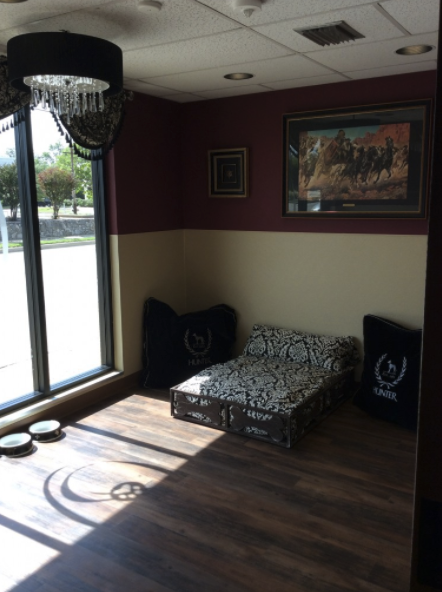 Not to be outdone, this Fort Worth-based dog hotel has pulled out all of the stops in order to become one of the country’s top five-star pet resorts. 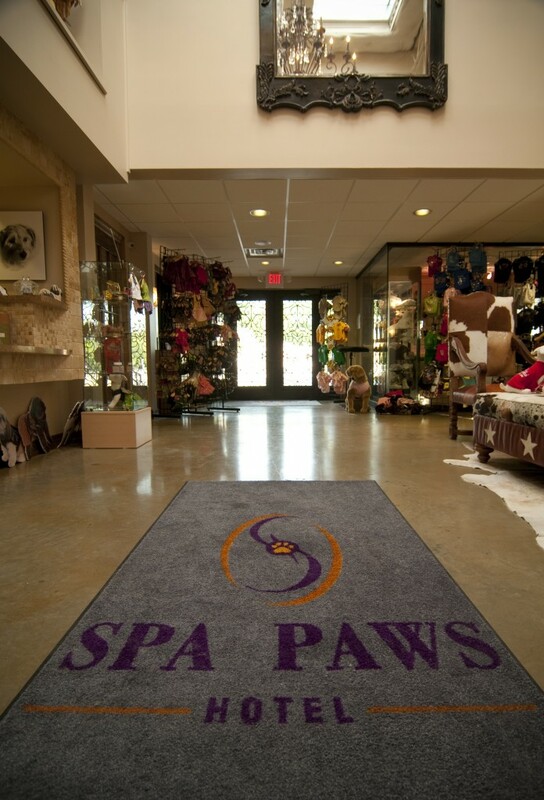 The Paws Enchantment Spa offers everything from aromatherapy massages to doggy yoga (doga). Rover can try out a facial or relax with reflexology before retiring to their private suite for the night. Expect to find a pet suite outfitted with a luxury pet bed, a chandelier, custom artwork, and a flood of natural light. 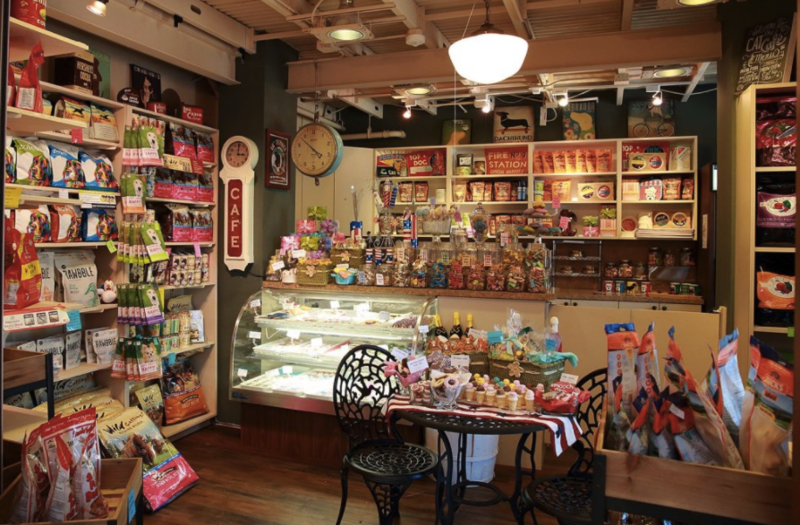 The onsite Pink Poodle cafe offers themed dog biscuits to celebrate everything from the Fourth of July to Hanukkah. A food and beverage director can cater a special event, or you can book the honeymoon experience for two recently married pets! At Paws Wellness Center, an in-house veterinarian offers everything from pet acupuncture to a customized nutritional plan. Staff is available 24/7, and you can even book a glamorous photo shoot for your pup! Of course, the usual trimmings of an indoor and outdoor play park are included with a stay at Spa Paws. Which dog hotel is your favorite? Sound off in the comments!